Rachel began her adventure in May 2017 with the creation of her blog called the Fleet Street Write-up. She wanted to share her most favorite and memorable Baltimore discoveries in hopes for others to explore places they’ve never thought of visiting. Rachel’s explorations include trying out both new and underrated restaurants, attending events and participating in community activities, and getting to know the local vendors at the farmers’ markets. The Fleet Street Write-up’s blog posts and pictures have been featured by local business and organizations such as Evolve Woodworks, The Made In Baltimore Program, The Baltimore Magazine, Yelp Baltimore, Rybak Woodworking, Cuples Tea, and the Bluebird Cocktail Room. Although Fleet Street Write-up is new, it has already gained a following. 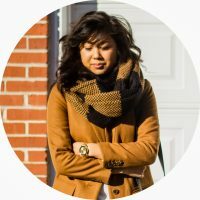 Rachel plans on growing her audience even more by exposing and encouraging her readers to explore the local businesses and organizations in Baltimore City.